Snowmobiling is a fast growing form of entertainment for both adventure seekers and nature enthusiasts. Come enjoy the beauty of Central Oregon's wildnerness with extreme versatility. 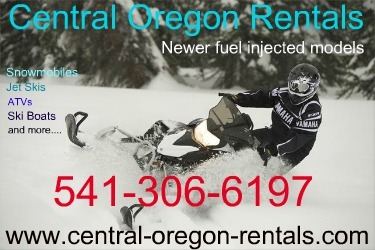 Whether you have never been snowmobiling or you are a seasoned veteran, Central Oregon has you covered. There are several snowmobile rental companies throughout Bend, Sisters, Sunriver, and LaPine that can get you on the right track for your adventure. Enjoy a family outing around Mt Bachelor's vast trail system or boondock in a powder filled meadow, blazing your own trail. Snowmobiling is winter recreation at its peak and the sport is here to stay! 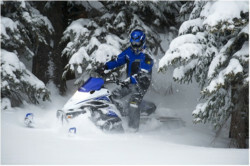 The latest local deals and discounts for Snowmobile Rentals for Bend, Sunriver, La Pine, Mt. Bachelor, Redmond, Sisters, and other Central Oregon cities.